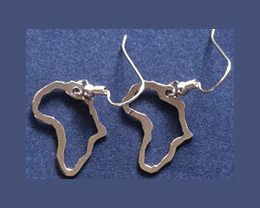 Beautiful shiny 14KY/20 gold fill outline of Africa earrings. 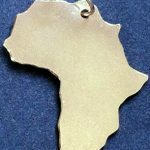 Each Africa is approx 0.85″ (2cm high). 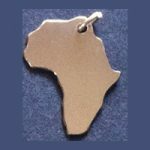 Beautiful shiny finish pure 14/20KY gold fill cute little earring set in Africa outlines. 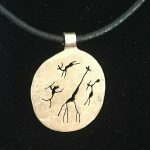 Each earring is approx 0.85″ (2cm high). Note Gold Fill is 20% 14karat real gold with an inside filler. Tests and looks like real solid gold except for the slight weight difference. Shown larger than actual size here. 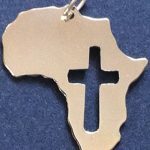 Wear your love and connection to Africa for any occasion.